***CLICK HERE TO SEE THE NEW STATESMAN - 40x13. Luxury at a realistic price! We may be a new company, but we have lots of experience and certainly intend to show we mean business, we manufacture our static caravans, mobile homes and lodges in the UK. Our Holiday homes, Lodges and Luxury Lodges are of the highest quality, inspirational, different and meant to have an impact. It will take some time before many of our leisure homes are offered by lots of parks around the country and indeed Europe and Scandinavia, but with your help we can grow our presence. 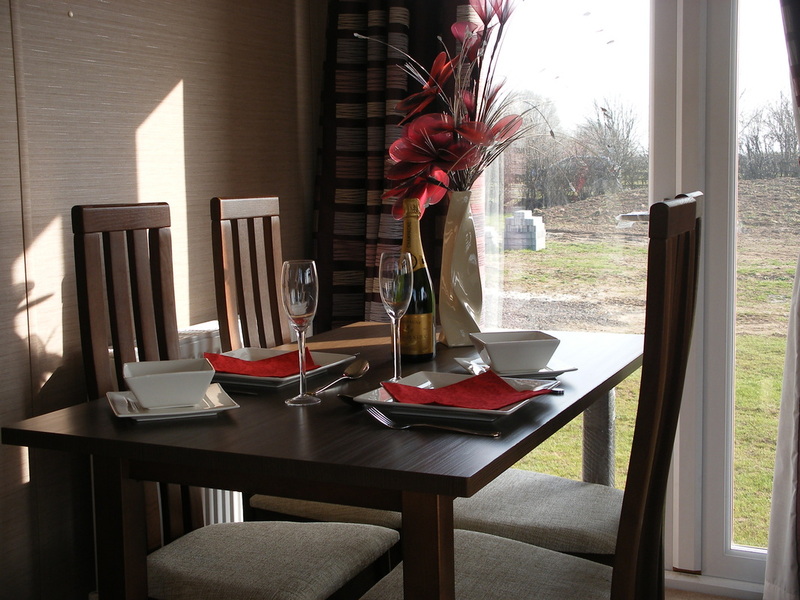 We have a selection of new, different and elegantly presented homes. If you like them, ask for one of them at the park of your choice. At our first show we were constantly asked which park can I have this on ? The answer should be: ''ANY''. Each range comes in a variety of layouts and lengths. We are also happy to modify the layouts and where possible let clients choose the colour schemes that they prefer. 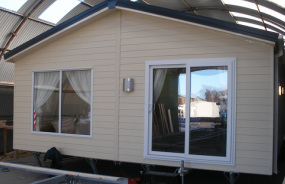 These are bespoke holiday homes which fit in with customers and parks requirements and do not cost the earth. 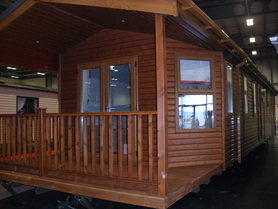 For a model which is an entry level lodge but can also be classed as a static, try the Retreat. Holiday lodges are bright, spacious and a place to relax and enjoy, the Cottingham and Lincoln are both twin units and come in 16ft wide as well as 20ft wide versions.. The Cottingham Lodge meets that definition on all counts. The 2 bedroom model is great value with walk in wardobes in both of the 2 bedrooms, an en-suite and bathroom. A well equipped and fully fitted kitchen; the lounge is spacious and has space to spare. Alternatively the new Retreat lodge offers a great easy living experience with everything you will need for that holiday period. Our Luxury Lodge range is currently based on the Cromwell Lodge. Having sold a number within hours of its launch we think you will like it. Besides having a stunning external appearance, its interiors appeal to all age ranges, both men and ladies alike. The flow of the lodge just works, it is straight forward, contains a separate kitchen / diner from the lounge and has a leading edge interior design. Don't forget it's innovative integral veranda & roof.